I did a mock interview with Maia. She wanted practice giving interviews, I wanted practice taking interviews, and a bunch of RCers wanted to watch... so yeah! 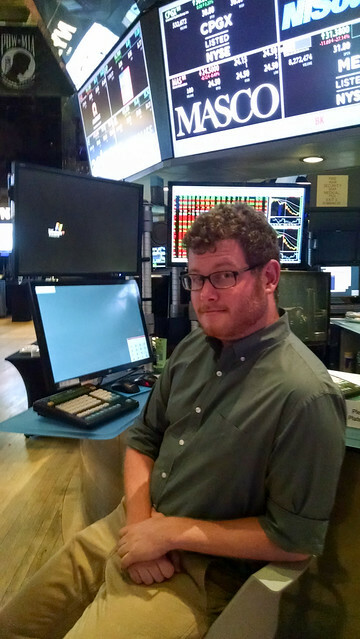 To paraphrase something Jesse said at the end, "this was a great reminder that skill at your job and taking technical interviews are very different". I then spent some time talking with Karen about jobs. I still constantly feel like I'm actually a new grad, who has never worked in the industry until people get me talking... and then I never shut up. As my friend and ex-coworker told me on my last day in SF before moving to London, "Don't forget, you know more than you realize". So hopefully people find my ranting useful. I'm hoping they'll stop me if it's not useful or becoming too pessimistic, or just generally ranty. I tried to fill in some gaps for April about how to build a web app that works with the Etsy API. 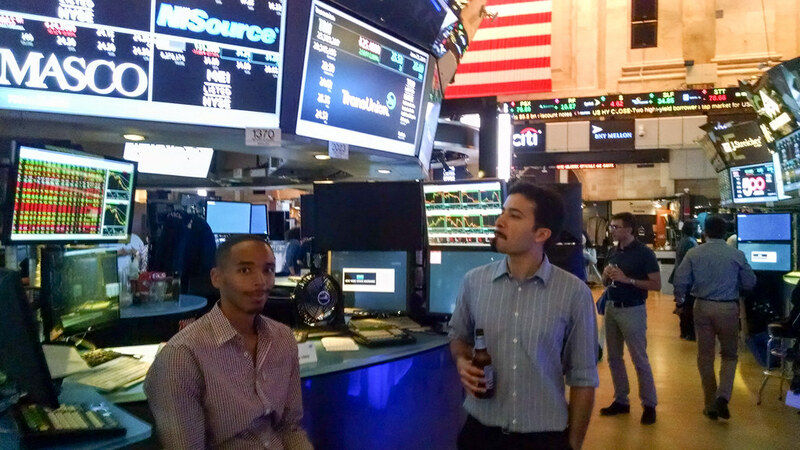 And then, a bunch of us went... to the New York Stock Exchange! 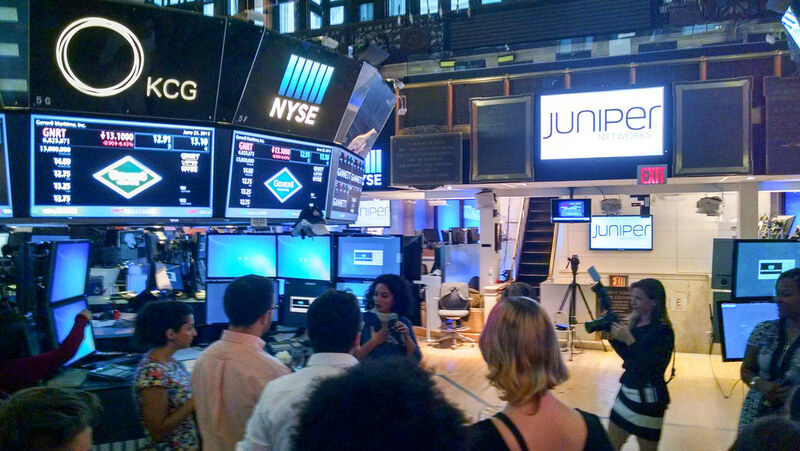 Juniper Networks hosted us, they do the networking for NYSE (and a lot of other people). It was such a unique and surreal experience. Really good food and just staring at all of this information that meant next to nothing to me. The constant question was "what do these people even do?" Spent most of the day preparing for RC's Job Fair. That meant spending time thinking about what I want for the future and questions that I wanted to ask companies. The question I came up with that I had the most fun asking was "Who at your company inspires you?". I want to use this more when talking to companies. I got a lot of interesting answers.